The mountain ranges of the Andes around Cusco and the beautiful valleys formed by these, are the ideal environment for people who love adventure sports. Hiking, camping and mountain climbing are uncommon experiences in the rugged territories of Cusco, in the southern region of Peru. The Andes mountain range in Peru is flooded with small lakes (more than 15,000 lakes) around snow-capped mountains, at more than 6,000 meters above sea level. These mountains form some of the deepest canyons in the world (such as the Cotahuasi Canyon, deep in the world) and beautiful valleys flooded with remains of Inca cities and picturesque villages of the colonial period. in the Machu Picchu National Park. 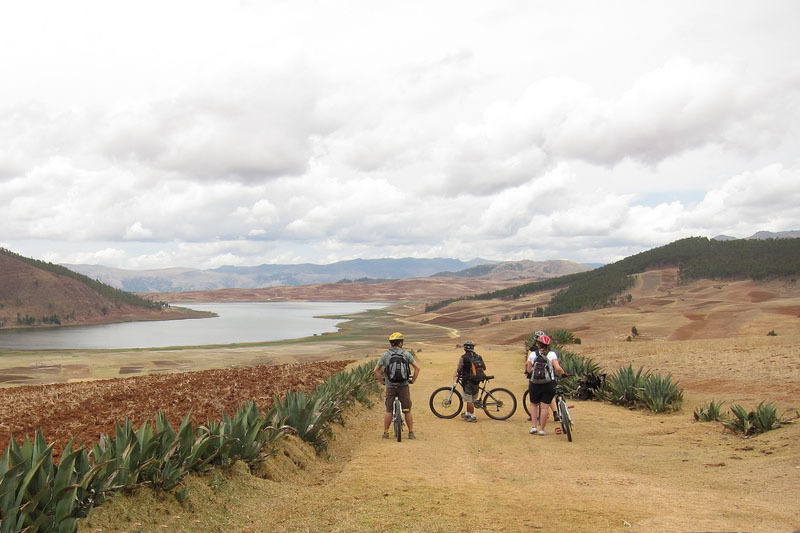 In Cusco you will find everything you need to make the adventure sport of your choice ; you will also find expert guides who will advise you and accompany you (if you wish), in the sport of your choice. And many other places where you can rent and / or buy all the necessary equipment. For more information about adventure tours in Cusco, please contact us at info@boletomachupicchu.com. You can complement your trip to Machu Picchu in Cusco with one of the following outdoor experiences. The torrents waters of the Urubamba River, give you the opportunity to practice canoeing and rafting levels I, II and III; but during the rainy season, the same areas of the river offer opportunities for rafting at higher levels (levels IV and V); this amidst the spectacular landscapes of the Sacred Valley of the Incas, fusing the excitement of adventure, with the immense material legacy of the Inca civilization. Some sections of the river offer tours of up to 2 days. With stretches for both experienced and novice people. We recommend, regardless of the adventure sport you choose, seek assistance from expert guides or agencies; which can also provide you with the necessary equipment without having to buy it; without doubt is the safest and most exciting way to do adventure sports in Cusco. Ollantaytambo – Chilca (Sacred Valley of the Incas). It can be combined with the Inca Trail. When is the best time to do Rafting? 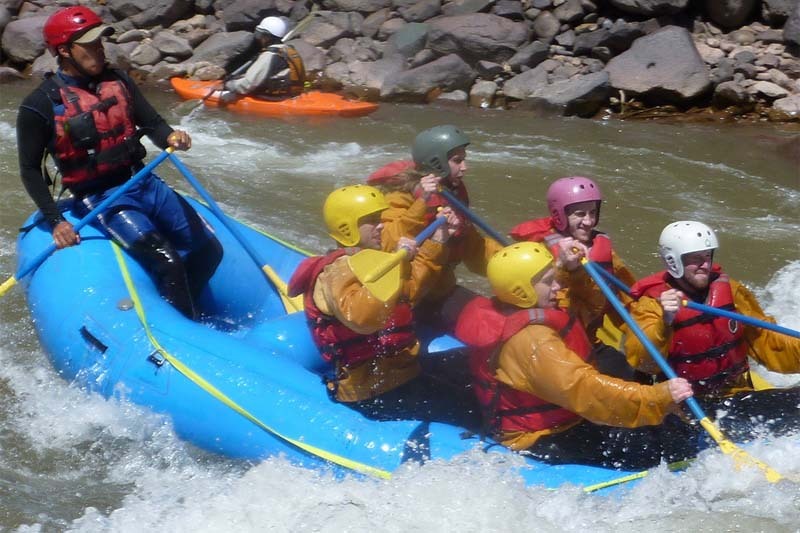 The recommended season for rafting or rafting in Cusco is from May to October. The months of July and August have the lowest levels of flow throughout the year. Between December and April (rainy season) you can practice rafting of greater difficulty. The Apurimac River is reserved for the most experienced, has rapids of all levels (I, II, III, IV and V). It is a raging scenario that attracts extreme sportsmen from all over the world. The Rio Apurimac is the beginning of the Andes, one of the most powerful rivers in the world, the Amazon. Its channel in the middle of the Andes Mountains, forms some of the deepest cliffs of the planet. In the city of Cusco you can find guides, and the necessary equipment to practice rafting safely. If you want to raft on this river, you must have at least 3 extra days. 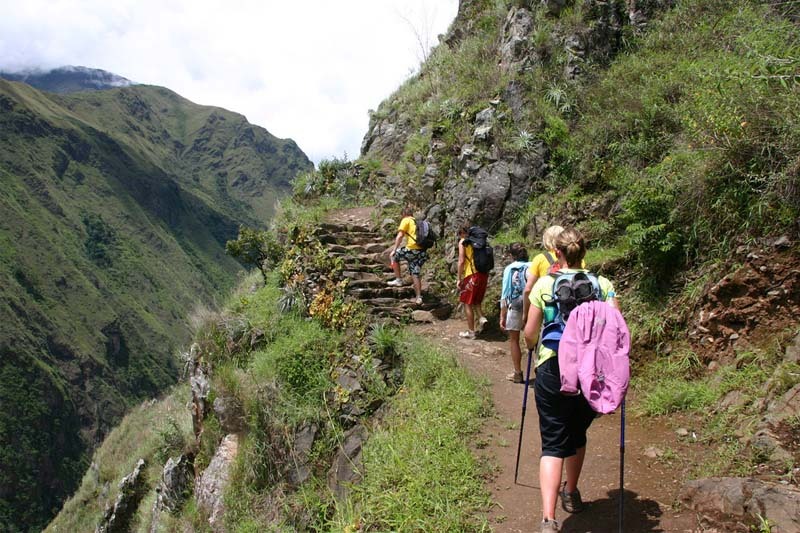 If you want one of the best routes in the world, with high doses of excitement and a dream ending at the “Puerta de Sol in Machu Picchu”, this is called the Inca Trail. 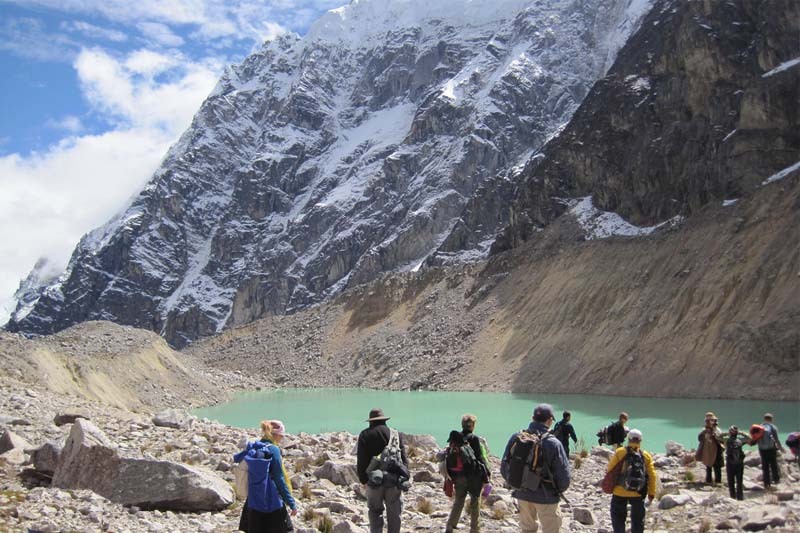 But the fact that it is necessary to reserve the Inca trail with 6 months in advance, has made that many people look for other amazing walks in Cusco; as the walk through the Salkantay, Choquequirao, Lares and others. The incredible landscapes of the Sacred Valley of the Incas offer unparalleled natural surroundings for trekking, mountain biking or taking a horseback ride. It can take 1, 2 or more days, and you can camp among the mountains at the end of each day. The chains of mountains belonging to the chains of the Andes Mountains, constitute one of the most astonishing scenarios to practice Andinismo. It can do mountaineering in many parts of the world, but if it is the mountains of the Andes Mountains, the correct denomination, would be Andinismo. The Urubamba mountain ranges Vilcabamba and Vilcanota possess some of the highest mountains of the Andes Mountain range; the Ausangate (6,336 m), the Salcantay (6,271 m), the Veronica (5,750 m). The andinismo in this territory can be practiced by expert climbers and climbers from all over the world, being able to choose its route of ascent and the most extreme degree of difficulty. But these mountains also offer opportunities for less expert athletes, choosing the simplest routes to conquer the tops of these mountains. The skirts of the mountains of the Vilcabamba, Urubamba and Vilcanota mountain ranges offer huge rock walls, which are the perfect opportunity for adventurous people who like rock climbing. There are almost vertical walls. Experts will be able to find innumerable routes of extreme difficulty, but there are also places for those who just begin in the risky practice of climbing mountains. When is the best time to practice rock climbing? You can climb the mountains of Cusco at any time of the year, the rainy season between December and April adds a great deal of difficulty. You can only observe birds, or do so while doing any of the above experiences. Peru is the second richest country in the world in variety of bird species and Cusco is one of the most exuberant scenarios for bird watching. The surroundings of Cusco will allow you to see from beautiful hummingbirds to the world’s largest flying bird, the spectacular Andean Condor. The different heights of Cusco make it an ideal place to observe birds, you can do it in the lush valleys of the Sacred Valley of the Incas, in the jungle eyebrow ofMacchu Picchu, and in the cloud forests of the Manu National Park. The entire region of Cusco is a huge paradise for birdwatching. The waters of the Vilcanota River in the Sacred Valley of the Incas will allow you to fish common trout; one of the best times to come from fishing to Cusco, is during the dry season (from April to October).